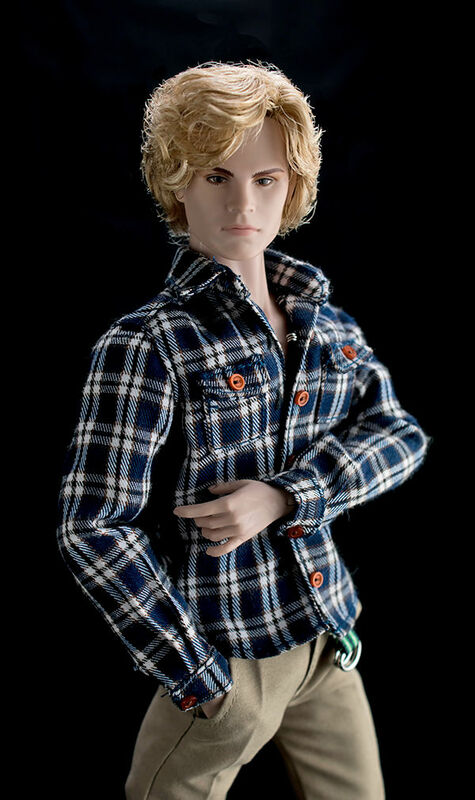 Kyle Spencer is a 12.5-inch fully articulated fashion figure with fully rooted hair. Kyle is dressed in the outfit the girls dressed him in after his awkward resurrection from the dead, which features a handsome plaid shirt, khakis, black shoes and a figure stand. Recommended for adult collectors ages 15 and up. Portrayed by actor Evan Peters, Kyle Spencer is a native of New Orleans' Ninth Ward and has spent the years since Katrina supporting his single mother. Resurrected after a violent death, Kyle serves Miss Robichaux's Academy on American Horror Story: Coven™.